Lymbyc System has always given the impression of being directly related to Talkdemonic. Like Kevin O’Connor’s group, this instrumental duo places great emphasis on a hefty drum beat. This beat is as much in the forefront as the music that accompanies it – not typically the case in music, as percussion is often utilized as a support to everything else. The band’s latest album, Shutter Release, finds the band expanding in all areas of sound, a progression not expected from a mere duo. Opening track “Trichromatic” introduces this inflated sound, built upon the foundation of Lymbyc System’s drum and synth origins. 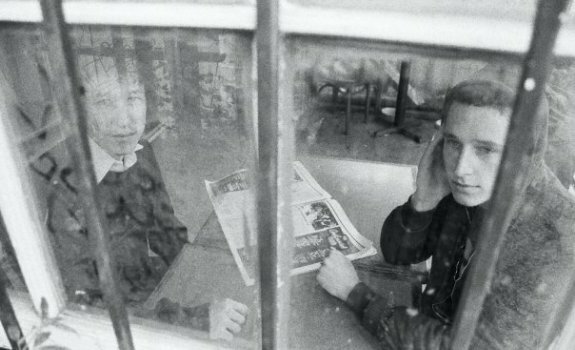 Often hypnotic, Lymbyc System’s familial pair Mike and Jared Bell dip their hypothetical feet into shoegaze in the mysteriously quiet “Interiors”, and aside from spacey guitars they aptly add volumes of echoing electronic noise, all of it pleasant. “Bedroom Anthem” begins softly but quickly blossoms into a loud, colorful track before giving way to the minimal “Kubrick”. And title track “Shutter Release” is an explosion of sound unto itself. With Shutter Release, Lymbyc System adopts traits common to post-rock; those soft-loud-soft themes that begin dreamily before blasting into epical anthems just to climax and begin again. 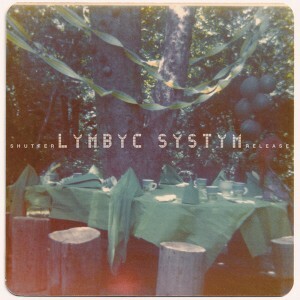 Adding post-rock sensibilities and elements of shoegaze has made Lymbyc Systym’s music all the more ethereal and uncanny. Sure, Love Your Abuser was more than solid, but it’s without hesitation that I declare the following: Shutter Release is Lymbyc Systym’s most accomplished work yet.